Modern Age Batman action figure! The legacy of the Dark Knight and his allies and foes are all captured in exquisite detail in this Batman Legacy action figure line! Articulated and detailed figure comes with poster of comic book cover appearance and display stand! 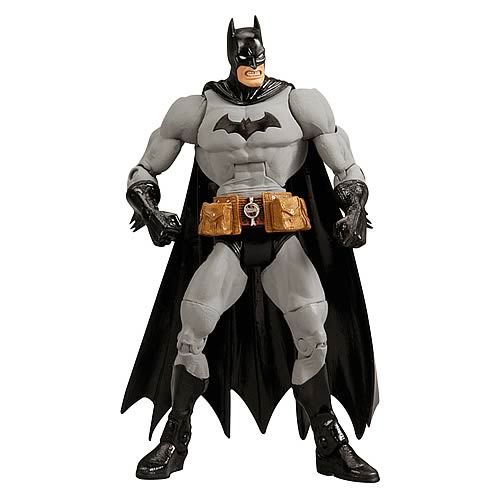 This 6-inch scale action figure of Modern Age Batman draws inspiration from the editorial heritage of Batman through the ages. Each figure is highly detailed and articulated for Batman fans! The figure comes with a unique display stand and an 6 3/4 x 10 1/4-inch poster of a comic book cover in which the character appeared.